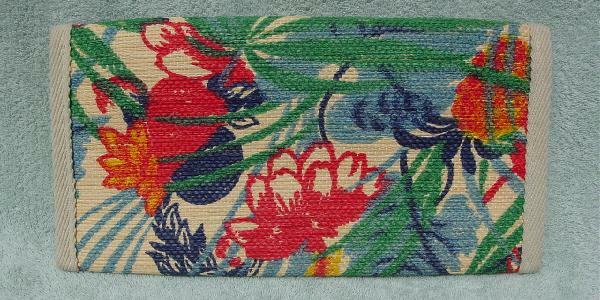 This vintage straw purse has a floral and fruit design in yellow, red, green, and light and dark blue. The background is the natural color of the straw. 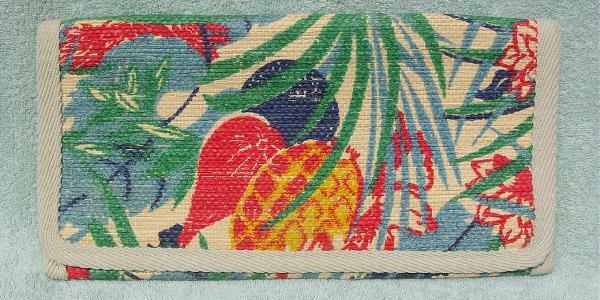 This large clutch is edged in a dark bone-wheat fabric cord. Hidden under the large flap is a snap closure. 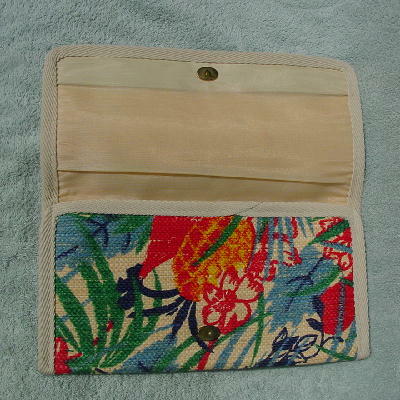 It has a fabric lining with a zippered interior pocket and it was made in Italy. The horizontal rows of straw are held in place by white thread stitching. The colors are darker than they appear in the pictures. It was used only once, in a magazine photo shoot.